This article appeared first under the title “Where Will the Crypto Craze Lead? A Venture Capitalist’s View” on ProMarket.org, the blog of the Stigler Center at the University of Chicago Booth School of Business. Reprinted with permission from ProMarket of the Stigler Center at the University of Chicago Booth School of Business. I would like to thank Luigi Zingales for having invited me to contribute and Samantha Eyler-Driscoll for her editing prowess. Can individual cryptocurrencies be programmed with stability in mind and if so, could a plethora of cryptocurrencies exhibit, in the aggregate, stable behaviors? By now, unless you’ve just returned from a multiyear retreat to Mars, you should be familiar with Bitcoin. You may even have an inkling of the mania currently surrounding Bitcoin prices. 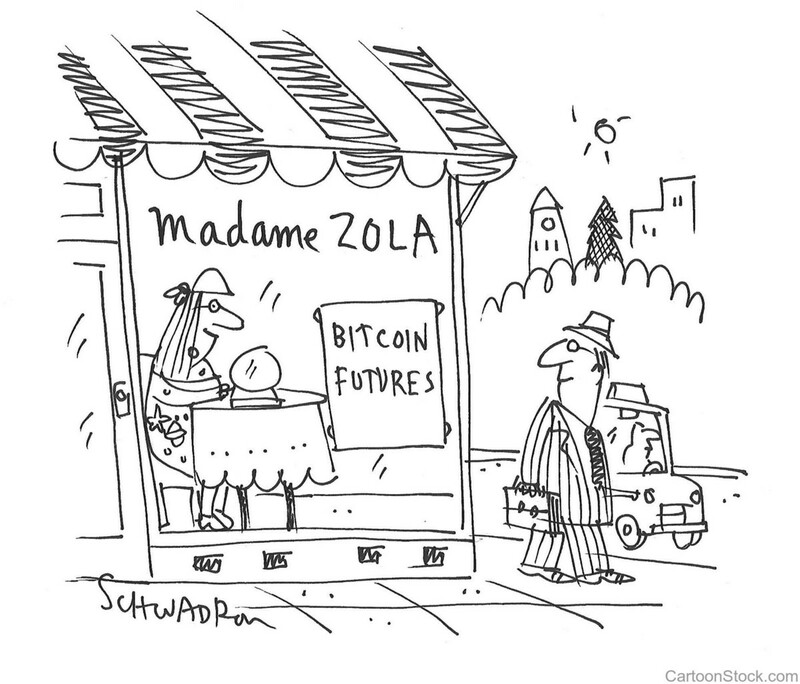 And if you’re really curious, you may even have heard of the world of cryptocurrencies. To recap the basics: it all started with the release of the Bitcoin protocol as an open source software in 2009 — the novel breakthrough being how brilliantly its founder, Satoshi Nakamoto, meshed together tried-and-true technologies to come up with a blockchain concept that creates trust where it does not pre-exist between agents, in a persistent and non-censorable way. From those singular beginnings, Bitcoin has inspired crypto-coders to such an extent that we now find ourselves in a world with over 1,300 cryptocurrencies, with an aggregated value nearing half a trillion US dollars — quite the Cambrian explosion if I may say so. Technology costs being what they are, the cost of building a protocol underpinning a new cryptocurrency is so low that the barriers to entry or the frictions of forking an existing cryptocurrency are minimal. It’s thus not unrealistic that cryptocurrencies will number several thousand in the near future. It also seems, so far, that cryptocurrencies exhibit a power law distribution, with the top 10 representing the majority of aggregate market value. Besides their extraordinary proliferation, the year 2017 brought skyrocketing prices for Bitcoin as well as other cryptocurrencies. Clearly, cryptocurrencies are becoming mainstream and attracting interest from different constituencies. At first purely driven by cypherpunks and libertarians and later by early individual adopters and the underbanked, interest eventually expanded to a few early venture capital funds across the globe and some emerging markets, where these cryptocurrencies were viewed as a substitute for local currencies that were either failing or not trusted by the general public. The most recent stages of adoption have seen widespread excitement from punters in South Korea, Japan, and China as well as more traditional institutional actors, with Fidelity, Goldman Sachs, CME, and CBOE being but a few examples. The market is structuring at such a furious pace that regulators, central bankers, and legislators are having a hard time keeping up. As with the dotcom boom of 1999–2002, exuberance, manipulation, and fraud have reared their ugly heads as well as poor governance and lack of transparency. Add a touch of geopolitical horse-trading and it is difficult to figure out exactly what the reasons are for the price appreciations; they appear to have more to do with sentiment than fundamentals. The market is fragmented across exchanges across the world, with price discrepancies that are difficult for the average investor to take advantage of. There is alleged manipulation from various actors, including a few exchanges and various “whales” who hold vast quantities of Bitcoin or other cryptocurrencies. The open religious wars between believers in Ethereum, Bitcoin, Ripple, or Bitcoin Cash–to name but four of the main cryptocurrencies–as well as the internal wars between Bitcoin actors (miners, core developers, investors), produce an inordinate amount of noise. In addition, the sudden governmental decisions to ban exchanges in China or facilitate trading in South Korea or Japan have created a “Wild East” atmosphere in which Asian retail investors have eagerly risen to prominence. It should be noted that Asian retail investors have traditionally been quite active in the forex margin trade, which can explain the sudden popularity to a certain extent. Furthermore, due to the deflationary nature of Bitcoin, most investors have a tendency to hold. As a result the market is quite frothy, with an explosion of new punters while sellers are far and few in between. As for market manipulation, certain firms and investors located in jurisdictions not easily reached by either US or EU enforcement are indulging in wash trading, painting the line, creating phony accounts across exchanges, spreading rumors, and in some cases allegedly issuing new tokens purportedly backed by fiat currency to inflate prices and trading. 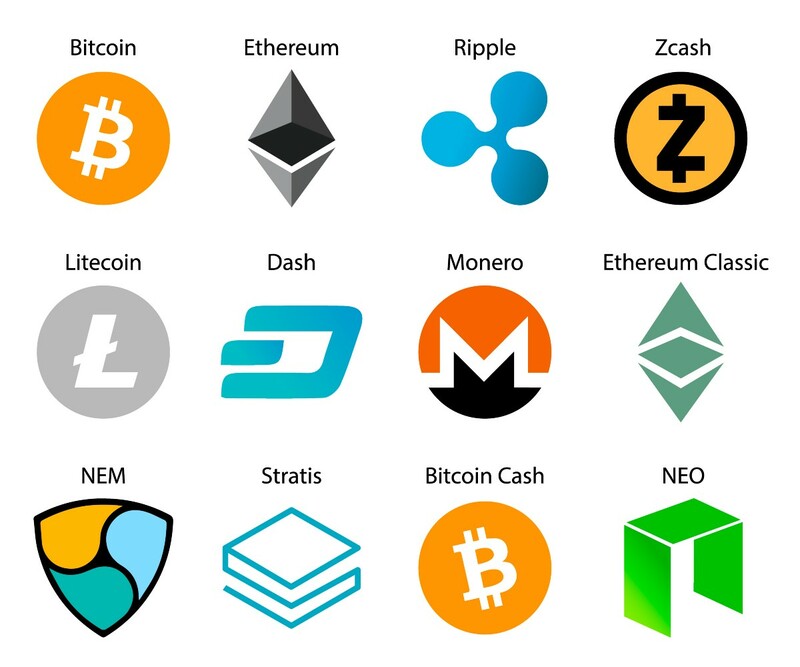 Notwithstanding all the above, what’s clear is that cryptocurrencies are now starting to compete with other asset classes or currencies. Cryptocurrencies have an advantage, which is the programmatic way their “money supply” policy has been set. Code is law for a cryptocurrency; this should prima facie make them immune to human interference and more “trustworthy” compared to other traditional asset classes or currencies (which are subject to human intervention). Nonetheless, cryptocurrencies are of course imperfect as they stand. Critics will point to the lack of transparent or appropriate governance, the inherent instability of decentralized power structures, technical faults that may leave some vulnerable to attacks, or the fact that open source code should not be used to underpin systemically important financial systems. Then there also is the not so little issue of energy consumption for any cryptocurrency based on what is called a proof of work protocol, which may undermine long-term viability. Undeniably the swift course of recent events is not optimal for the short-term health of the space, but it does not detract from the fundamental promises of programmatic money or store of value along a more distributed intermediation power structure. In other words, even though the promise of cryptocurrencies in its purest form is to disintermediate trust and transition it from being purely human and institution based to being more code based, we have not yet arrived at that end point, nor do we know if such an end point is either desirable from a societal point of view or technically feasible. 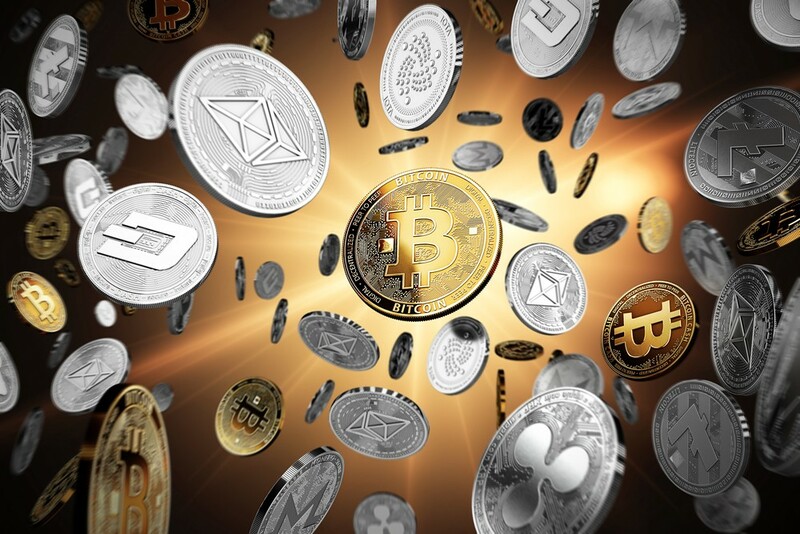 But we do know there is considerable interest in alternative means of exchange or stores of value, that the financial services industry may gain from such innovation, and that even though unhealthy price appreciation and extreme volatility have been recent ledes, so far — and based on a consensus of economists’ and central bankers’ views — cryptocurrencies do not represent an existential threat to the established order based on size alone. Undoubtedly, market interactions will hold the key to success by allowing technologists to address the drawbacks and crypto-believers to go on believing anew. There are, however, a few salient points we should bear in mind: competition and market structure stability. Firstly, in a world where new cryptocurrencies are birthed with relative ease, how can we definitively declare a winner among them? Will network effects achieved by the current leaders be enough or will the inherent weakness of governance, decentralized protocols, inflation, lack of stability, or deflation mean that new entrants can overcome the first-mover advantage with a superior protocol? Further, will competition bring out excessive profit seeking human traits, designing cryptocurrency protocols to maximize either seignorage or fees to the detriment of usability? On the point of competition between crypto and fiat currencies: nation states do not easily relinquish the monopoly they hold on violence, which itself protects the right to tax. It follows that, should a given cryptocurrency achieve widespread use and end up challenging a fiat currency, it may become a clear and present danger to fiat currency issuers that they seek to check by all means possible. Banks may also be threatened because of their money-creating privilege. Not surprisingly we are currently witnessing central bankers and bankers across the world vocally expressing their displeasure at the rise of Bitcoin. They use arguments of greater or lesser validity ranging from cryptocurrencies fomenting fraud or Ponzi schemes, facilitating illegal activities, lacking credibility as an open source software, to outright serving as a harbinger of chaos. The irony here is that for the first time in history, a financial instrument, be it money or an asset, has not been created institutionally and is thus highly suspect to institutions. On the third point, how will private cryptocurrencies behave once central banks start issuing their own digital or crypto coins (so-called fiatcoins)? Can there be peaceful cohabitation? Will fiatcoins precipitate the end of the daily use of private cryptocurrencies at scale, either due to market forces or due to a fiat diktat? Will cryptocurrencies be resilient enough due to their inherent properties, or because they hold a geopolitical utility to one country or another? Incidentally, introducing a competitive vector to the world of fiat currencies can only be viewed as a positive given the latest monetary development of the past 20 years and the slow erosion of trust towards financial intermediaries and central banks. All are fascinating questions we will undoubtedly have the answers for in the near future. Can the Market Be Made Stable? Currency competition leads to a discussion of market stability. Inasmuch as one currency may lead to too much market concentration, competition between currencies, both fiat and private, may lead to either optimal market structure and/or price/value stability. So far, all cryptocurrencies have been volatile, with many critics adamantly claiming this excess volatility de facto kills their value proposition. Can individual cryptocurrencies be programmed with stability in mind and if so, could a plethora of cryptocurrencies exhibit, in the aggregate, stable behaviors? A pure stable coin is what dreams are made of, while a coin less volatile than Bitcoin should be feasible. But we still are left with the fundamental question of how many cryptocurrencies are enough. Given the twin effects of Gresham’s law and the short profit-maximizing goals of private agents, it might not be inconceivable that market stability and equilibrium may be difficult to achieve in a world unfettered by regulatory constraints. In conclusion, believing that current leading cryptocurrencies will be long-term winners may be premature as the ecosystem is still in its infancy and new entrants or forks of existing cryptocurrencies are to be expected. Fiatcoins issued by central banks are a natural evolution, and too many cryptocurrencies may well be a hindrance. Nonetheless, cryptocurrencies are undeniably bringing innovation and excitement to the world of money and currencies. I argue that such excitement is a positive development, from a competitive standpoint, to challenge the stranglehold of incumbent financial intermediaries and central banks.